Pointing to the north star and aurora near Edmonton | Tofield, Alberta. 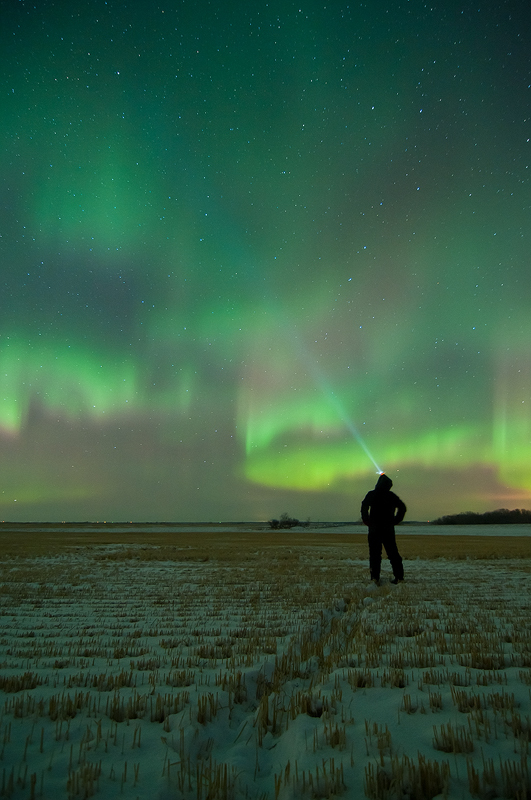 We had another good aurora show on November 10-11, 2013 and I headed out east of Tofield to capture the display. A 30 second self portrait pointing my headlamp to the north star.